Explanation: Jewels don't shine this bright -- only stars do. Like gems in a jewel box, though, the stars of open cluster NGC 290 glitter in a beautiful display of brightness and colour. 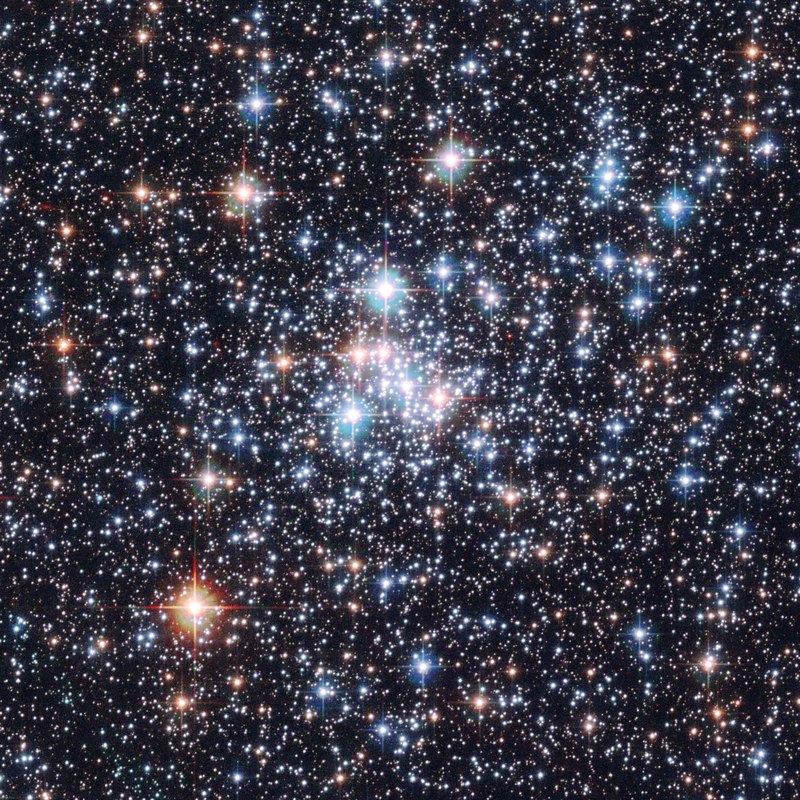 The photogenic cluster, pictured above, was captured recently by the orbiting Hubble Space Telescope. 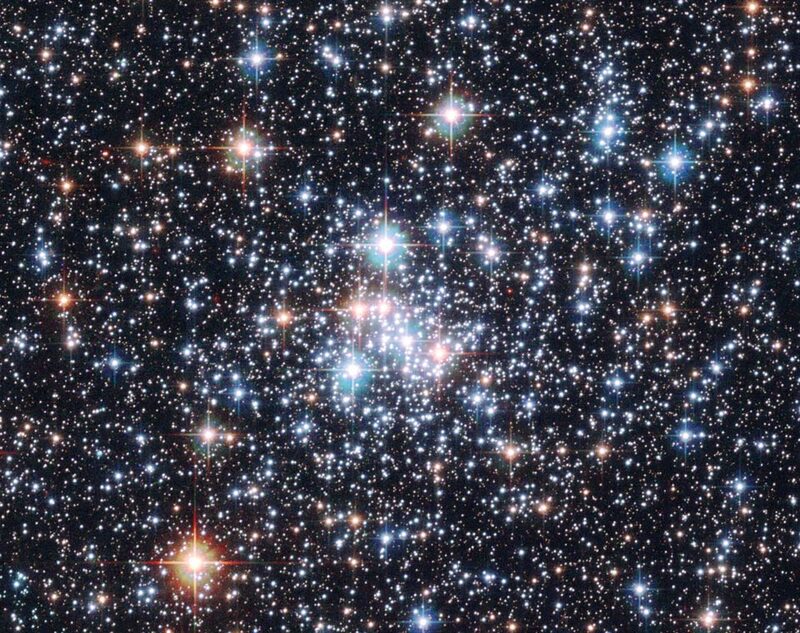 Open clusters of stars are younger, contain few stars, and contain a much higher fraction of blue stars than do globular clusters of stars. NGC 290 lies about 200,000 light-years distant in a neighbouring galaxy called the Small Cloud of Magellan (SMC). The open cluster contains hundreds of stars and spans about 65 light years across. NGC 290 and other open clusters are good laboratories for studying how stars of different masses evolve, since all the open cluster's stars were born at about the same time.